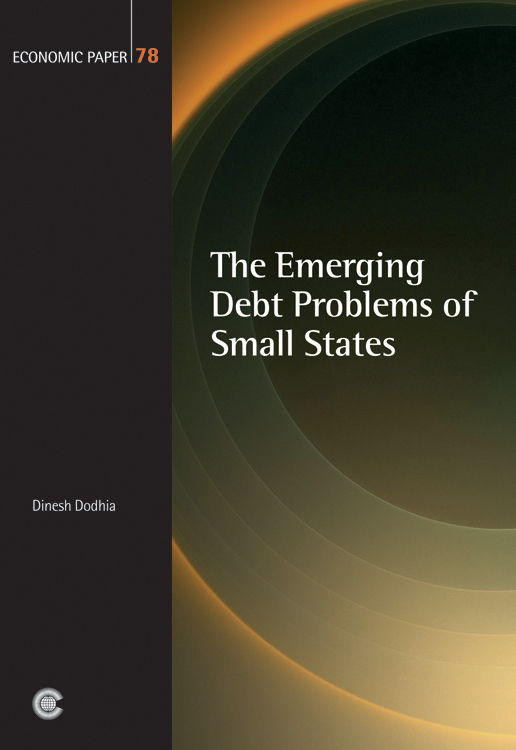 In recent years there has been a significant rise in the indebtedness of small states. However, unlike major debtors and the Heavily Indebted Poor Countries (HIPCs), the emerging debt problems of small, mainly middle income, states have received little international recognition and attention. Thirteen small middle-income Caribbean economies are amongst the most indebted thirty emerging market economies in the world. Similar conditions apply in a number of other small economies in Africa, the Indian Ocean and the Pacific. • support for the efforts of small states to promote private investment for diversification and growth. This is the first substantial investigation of a newly-recognised international problem. Dinesh Dodhia is a former senior staff member of the Commonwealth Secretariat. Since 1995 he has been managing director of Rappidd Consultancy Ltd, which provides specialist advice on economic and development issues to international organisations such as UNCTAD, the World Bank, African Development Bank, Commonwealth Business Council and Crown Agents. This handbook highlights the linkages between debt and gender and discusses policies and action taken by international agencies and bilateral donors to promote and integrate gender issues in the provision of development assistance.